During the Central Florida annual Parade of Homes, Canopy Oaks exclusive builder A.R. 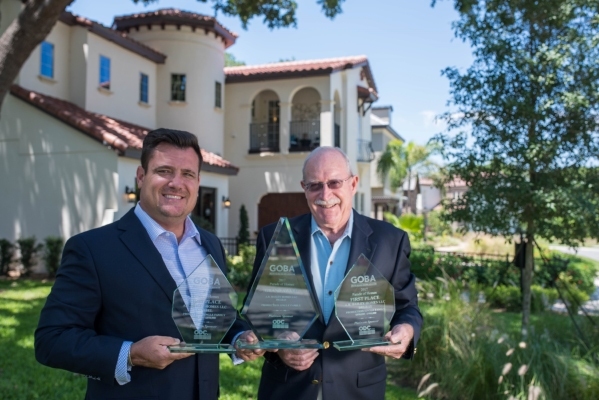 Bailey Homes received two first-place awards and the overall GRAND AWARD for all production single-family homes! The judges from the Greater Orlando Builders Association evaluated more than 100 entries from 44 of Orlando’s biggest and best homebuilders. Their goal was to choose one new home that represented the very best regardless of price: superior architectural design, innovative building practices, energy efficiency, advanced technology, craftsmanship, and products featured. The Delray model won against homes costing twice as much!